From the nationally bestselling author of The Hole in the Middle, a witty, insightful new novel about juggling the demands of three husbands — a work husband, an almost husband and an ex-husband — and figuring out the true meaning of family. Out of the blue, a scandal erupts at city hall and Avery is forced to reexamine every choice she’s ever made. But before she can build a future, she must reach into her own history and overcome her deepest fears about love and loss. Only then can Avery finally discover what it means to be a family. No one captures the feverish intensity of modern life, with its attendant disappointments, crises, and occasional triumphs, better than Kate Hilton. She writes about the lives of women today, and specifically the fault lines where love, work, family, and friends overlap, with precision, perception, and perfectly observed humour. Not only is Just Like Family one of the funniest books I have read in a long while, its unflinching yet affectionate portrait of beleaguered heroine Avery Graham also makes it one of the most moving. Kate Hilton is really smart, funny and honest about the complex and shifting power dynamics in both domestic and work relationships. Kate Hilton achieves the difficult feat of making us empathize with a flawed heroine whose willful reluctance to draw boundaries around a demanding job puts her most important relationships at risk. Keenly-observed, insightful, and punctuated with brilliant, revealing moments of dark humour, this novel is impossible to put down. 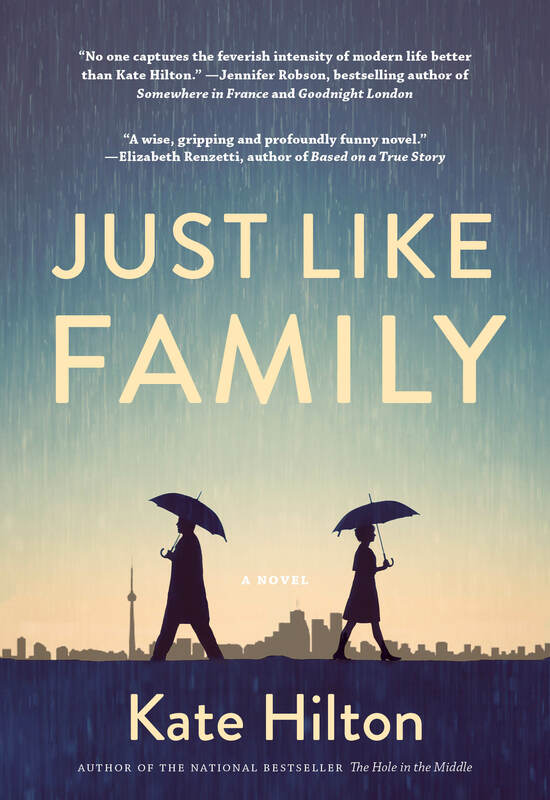 Just Like Family is a witty, thoughtful and layered tale of families, friends, and lovers, and the emotional landscape they all share. Kate Hilton leads us through a masterclass on the dynamics of the relationships we choose, and those we’re born into. It’s messy and wise, heartbreaking and heartwarming, and above all, utterly captivating. A wise, gripping and profoundly funny novel about the mysterious Bermuda Triangle where friendship, love and work meet and try to survive.